We hear it all the time- “I’d love to do this program, but I can’t afford it!” We hear you. The cost of getting a teaching certification (usually involving going back to school and paying thousands to get a degree, while taking time off from a paid job) is something few people can afford to do. Too much time, too much money. That’s where we come in. Designed by the Department of Education to bring teacher certification within reach of career-changers, our program is online and self-paced. You don’t have to go back to school or take out loans. While our program is much less expensive than a second degree, picking up a certification can be an unexpected expense that may or may not fit into your budget. Installment payment plans are available; however, some candidates choose to pay for their certification in another way: crowdfunding. Crowdfunding platforms let people ask their friends, family, and the general public for monetary donations in order to accomplish a goal. Kickstarter and Indiegogo are popular crowdfunding websites for entrepreneurs hoping to eventually sell a product, while GoFundMe is typically used for investing in people and education. 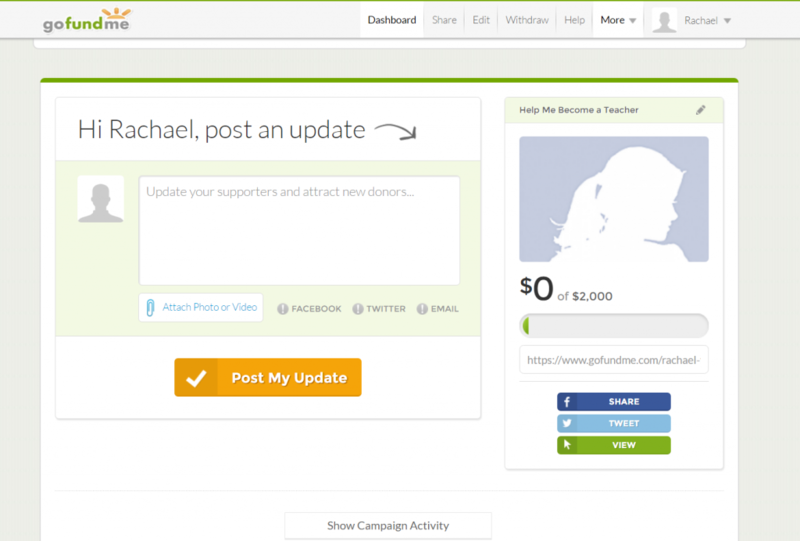 By creating a campaign on GoFundMe, you’re asking your loved ones to help fund your dream of becoming a teacher. You can ask friends and family to donate to your campaign in lieu of Christmas or birthday gifts. Even several small donations of $15-$25 can really add up. And unlike Kickstarter and Indiegogo, GoFundMe doesn’t place time limits on campaigns, so whether it takes a month or a year, you can keep your campaign going for as long as needed. Below, we’ll walk you through the creation of a GoFundMe campaign step-by-step. 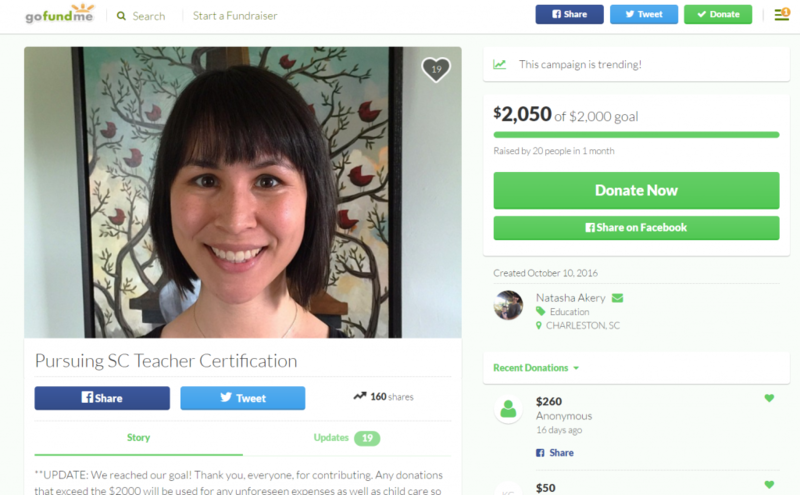 Be sure to also read How I Crowdfunded My Alternative Teacher Certification for one American Board candidate’s experience using GoFundMe. You can use your email address or Facebook account to create your account. Visit www.gofundme.com to get started. This will help your friends recognize which campaign page is yours. You can also record a video explaining why others should contribute to your goal and add it to your page. This is where you plead your case. Why are you becoming a teacher? What will you do with this certification? It’s also a smart idea to explain how the American Board program works to those loved ones that may not be familiar with our program. Natasha Akery, an American Board candidate that used GoFundMe to Crowdfund her certification, recommends adding the following to your description. 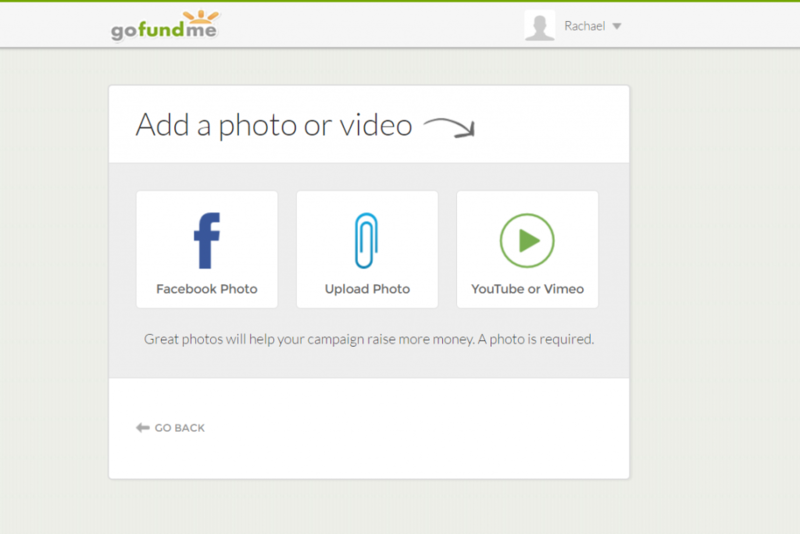 After writing your description, GoFundMe will provide you with a link that leads directly to your campaign page. You have the option to customize your link. We suggest doing this to make it easier to remember! 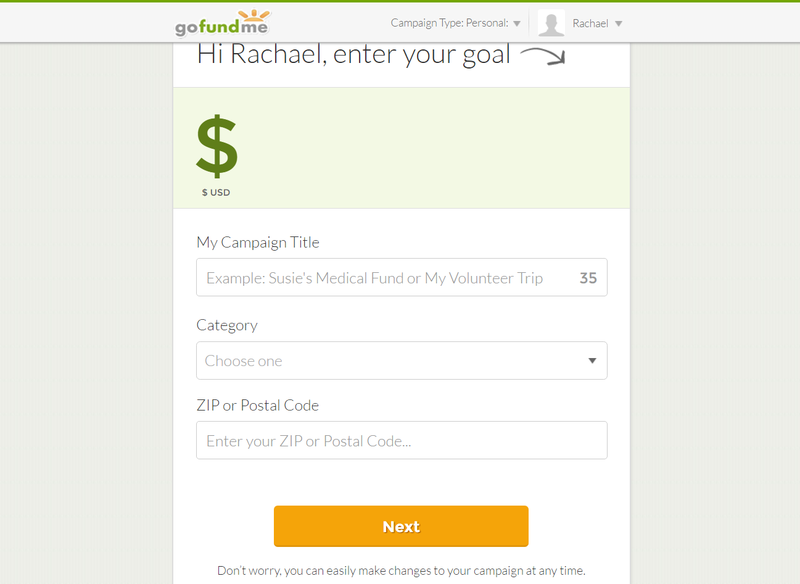 GoFundMe will offer you several ways to share your campaign, including through email and social media. Make sure you post your custom link to every profile you have for maximum visibility. Log-on to GoFundMe to track that progress of your campaign, including how many donations you’ve received and who has donated. You can share progress updates as you meet goals (50% of my goal has been met! Thank you to all who have donated so far!). Small, silly incentives can make a difference. Natasha promised to record herself doing a dance when her goal was met (she met her goal, here’s the dance!). You could promise to blog your first year of teaching as you meet your goal, or send holiday cards to anyone that donates. Be creative! 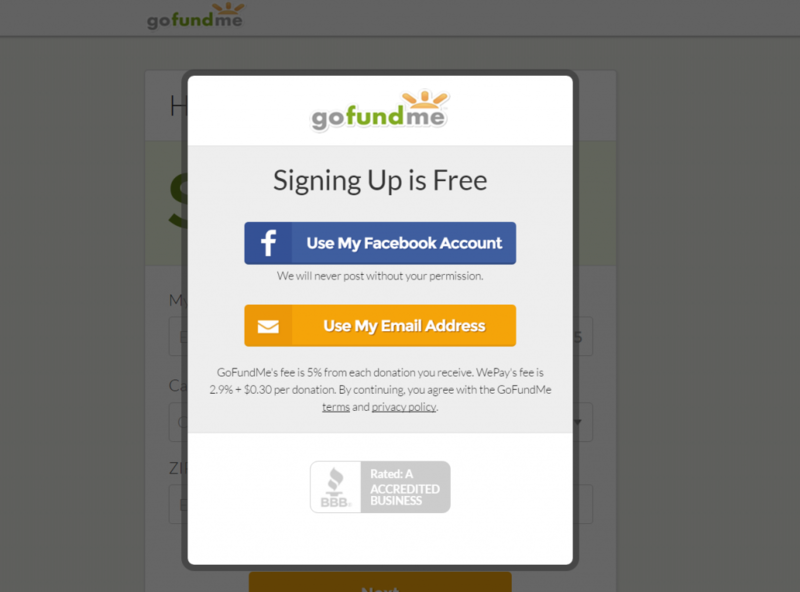 It’s important to know that GoFundMe collects 5% of the donations earned. This is how they run their website and pay their staff. That means if a campaign is fully funded at a goal of $2,000, the person that created the campaign will receive $1,900 and GoFundMe will take $100. WePay, GoFundMe’s payment processor, takes 3% of each donation. This means WePay would take $0.75 of a $25 donation. GoFundMe campaigns are not taxed and most campaigns are considered “gifts” that do not need to be claimed on your yearly taxes. However, each situation is different. We recommend you speak with a tax specialist if you have questions about taxes. 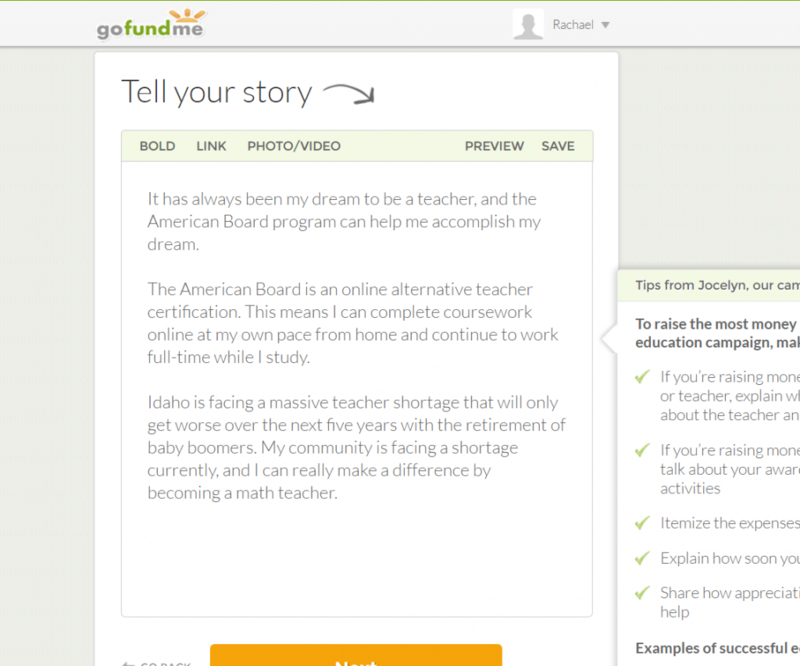 GoFundMe can be a wonderful way to pay for your American Board alternative teacher certification. To learn more about the American Board, give us a call at 877-669-2228 or visit our website at www.americanboard.org.